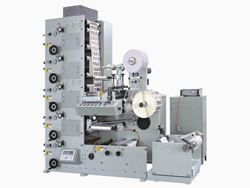 Zonten RY-330 or 450 product is a stacked flexographic printing machine with a single die cutting station. 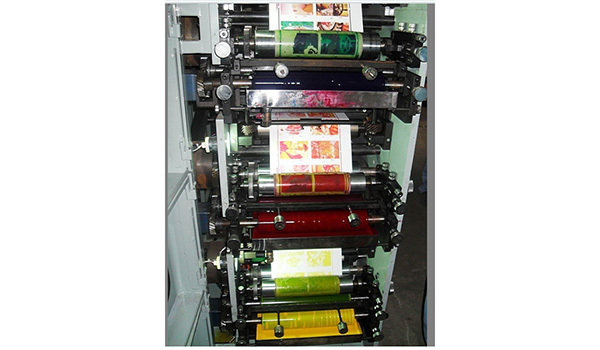 It is applicable to the printing of coated paper stickers, aluminum foil stickers, as well as PE, PP and PVC stickers. The resolution is over 150LPI. Due to its high quality and low price, this product has been well received for the past eight years and the export volume remains at 10 units per month. This stacked flexographic printing machine can complete the whole process of unwinding, printing, varnishing, laminating, die cutting, waste discharging, and winding. 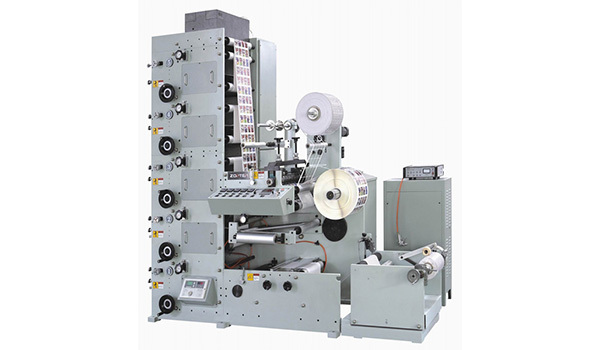 With strong applicability, fast printing, high economic benefit, non-polluting ink and other characteristics, it is the ideal choice for various printing houses to print bills, card paper and high-end stick labels. The main motor is equipped with a frequency conversion stepless speed regulation device imported from Japan. This device can reduce mechanical shock and power consumption, thus prolonging machine's lifespan and reducing operating cost. Winding and unwinding are controlled by magnetic brake and clutch. Customers can also choose Japan's Mitsubishi automatic tension controller. These devices guarantee stable and reliable winding and unwinding. The anilox roll adopted by our product has strong resistance to abrasion and corrosion, thus having a long lifespan. This frees users from the troubling of regularly replacing the rolls. When the printing is completed, the ink roller can automatically be away from the printed material and keep rotating at a low speed so as to prevent the ink on the roller surface drying. 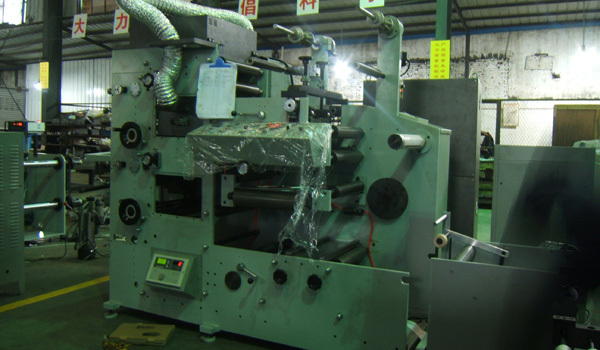 Every printing unit of the printing press is generally responsible for the printing of one color and the 360° circular register regulation is adopted. Each printing unit can be taken apart and used independently. It is equipped with a drying device which enables the ink to rapidly condense to avoid ink blurring or shedding and brings convenience to the cutting operation of the printed products. Customers can choose to install infrared or UV drying device. They can also specify the color of the equipment. In addition, a cold foil stamping device and a CCD camera are optional. 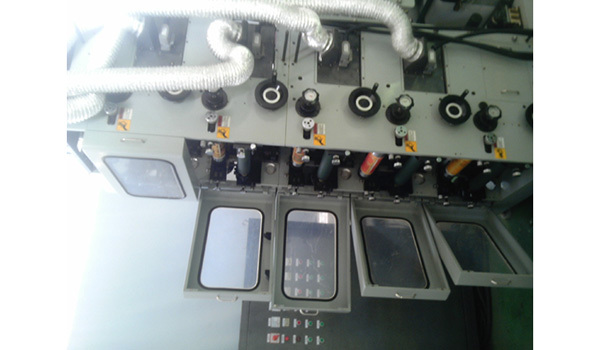 The flexographic printing machine is equipped with a deviation correction sensor which can automatically control the material feeding device and make the printing accurate and stable. We provide two types of this product, which are RY-330 and RY-450. Their size is 3000×1500×3000mm and 3000×1700×3000mm respectively. They can print on materials with the maximum width of 330mm or 450mm. Our product works at the voltage of 380V AC and we provide customers with a frequency converter which can convert the voltage of 110V or 220V into the required one. As a professional stacked Flexographic printing machine manufacturer in China, ZONTEN also offers 12 color multifunction Flexo printing machine, high speed label slitting and rewinding machine, PS plate intermittent offset label printing machine, and more.